Clarke’s Discount is a local auto repair shop in Aloha, OR, that specializes in transmission and clutch services and repairs for Asian and Domestic makes and models. To ensure that your car is receiving the appropriate repairs to fix the issue, we offer each customer a free diagnosis. If you’ve noticed an issue with your transmission, it’s time to schedule an appointment with Clarke’s Discount. Transmission Fluid Service: There are a lot of moving parts within the engine of your car. The transmission fluid is what keeps everything cool, lubricated, and clean. It’s essential for the health of your car that this fluid is changed out periodically. Because additives in the fluid can diminish over time, this service will help your transmission last longer. Automatic Transaxle Service: A transaxle is a component that combines gear-changing and power splitting, slightly different than a transmission. If you notice strange sounds, abnormal shifting, or a fluid leak, call a mechanic at Clarke’s Discount for an appointment. Clutch and Pressure Plate Service: In an automatic car, the clutch is what engages and disengages the drive train and the transmission. 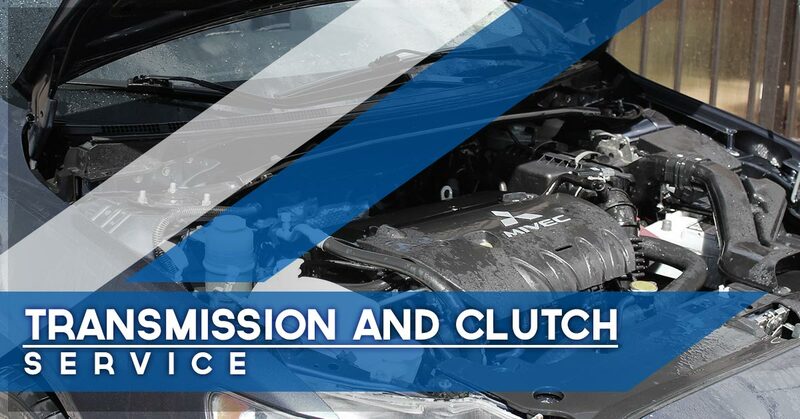 The clutch can wear out over time and could include clutch discs, cables, or leak repairs. A clutch repair is fairly simple when compared to transmission services, but should nonetheless be looked at as soon as possible. Hydraulic Master Cylinder and Slave Cylinder Repairs: The cylinders are where the compression process occurs and the fuel is turned into energy for the car to move. Many issues in this area of your car are caused by low fluids or leaks. Flywheel Machining: This component allows a smooth transfer of power from a motor to a machine, or absorbing and transferring the power when required. Maintenance could include resurfacing the flywheel. The Car Doesn’t Switch Gears: If your car is struggling to change gears, or isn’t changing at all, it could be a problem with low transmission fluid, or the wrong type of fluid. Burning Smell: With any burning smell coming from your car, it’s important to visit an auto repair shop right away. This could mean that the transmission is overheating or the oil is old and burning. Slipping Gears: When the gear slips out of place while driving, it could have dangerous effects. Grinding or Shaking: This problem is more common with automatic transmissions. A grinding or shaking that happens when the car changes gear is one of the more obvious signs there is a problem with the transmission. Noises While in Neutral: Another obvious sign of transmission trouble is any strange noises that occur while the car is in neutral. This might indicate that the car needs new transmission oil, but could be a more costly repair such as replacement. Proper maintenance and early service for your transmission will ensure that it lasts as long as possible. Any strange noises, smells, or rough gear changes could mean something is wrong with the system. When you want a trustworthy and reliable auto repair shop to look at your car’s transmission, give Clarke’s Discount in Aloha a call. Schedule an appointment today.